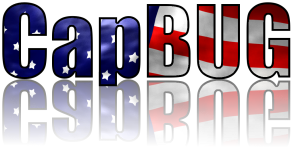 The Capital Area BSD Users Group has been formed from the old "MD BUG". We thought it best to think bigger. If our local BSD Users Group gets big enough where we have a conference or something similar, we don't want to hear, "Where the heck is Maryland?" I hope everyone knows where the Capital is. We, Jason and I, have worked hard to come up with a nice website for the group. If you're in the DC area and are interested in BSD, Unix or Open Source, please check us out and join our Group. The purpose of our group is to promote BSD, Unix and Open Source -- in that order. Thanks for your support. Chances are, you didn't find my site without using something belonging to one of those three concepts.